This week we want to highlight an example of the results you can achieve when you send a press release on PRunderground.com. 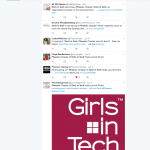 We look at a press release published by an awesome organization that empowers girls and women around entrepreneurship and technology, called Girls in Tech founded by Adriana Gascoigne in 2007. The occasion of the press release was the launch of a new chapter in Phoenix, Arizona. 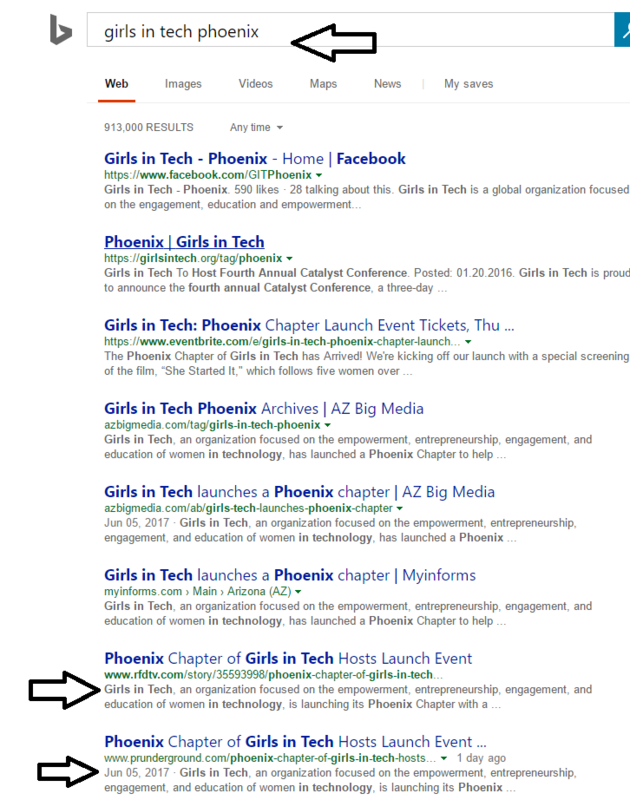 The press release in its entirety is here “Phoenix Chapter of Girls in Tech Hosts Launch Event”. 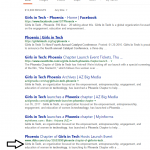 First we want to note something that is seemingly simple, but that many do not do – their savvy publicist/PR firm includes the location (Phoenix) of the new Girls in Tech Chapter in the main headline. 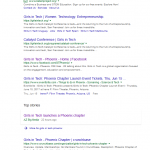 This makes it much more likely to show up in search results when people are searching a) from the Phoenix area and/or b) using the keyword ‘Phoenix’ in their search. 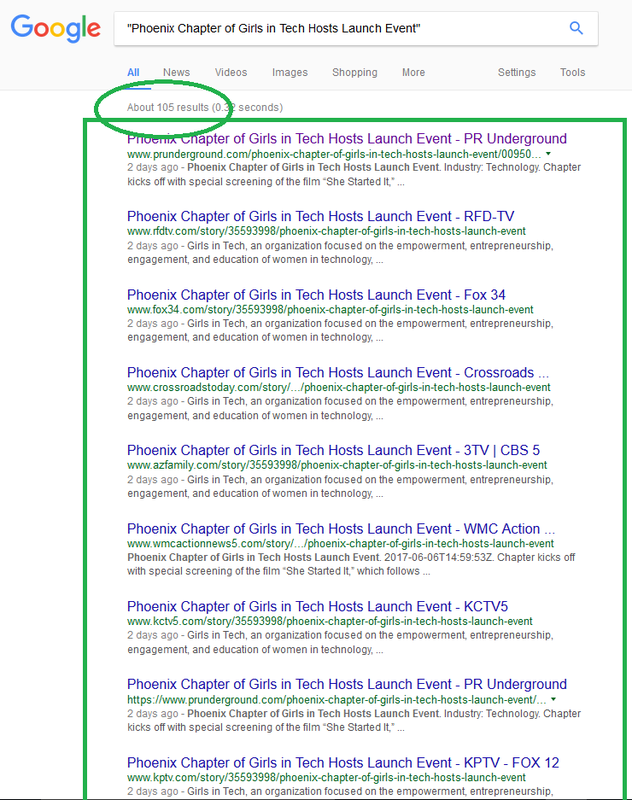 You might be thinking, yes of course they included Phoenix, but having analyzed 10,000+ press releases at PRunderground.com, you would not believe how many similar press releases leave out the relevant location from the headline for local events, conferences, seminars, openings, etc. 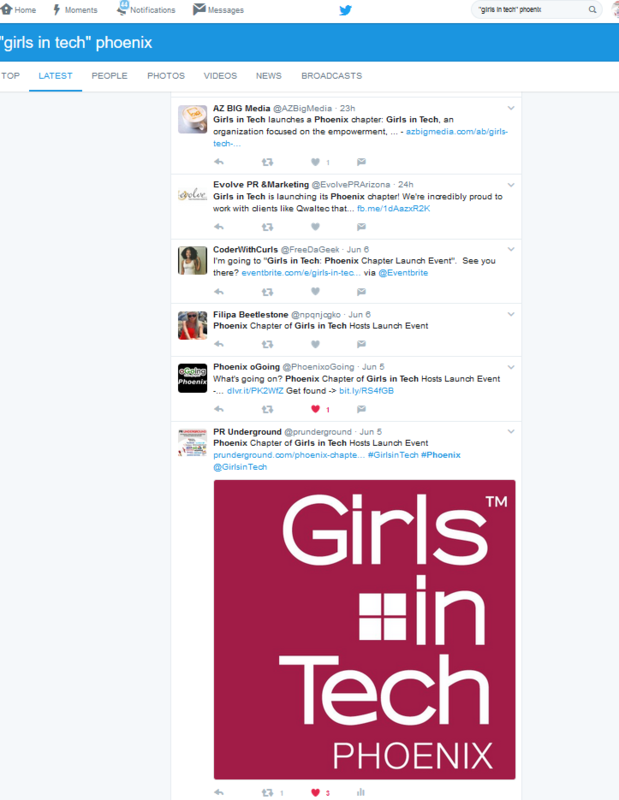 It could have been a simple oversight to just put ‘Girls in Tech Hosts Launch Event for New Chapter’ without including the city. But they got it right and here is the proof. 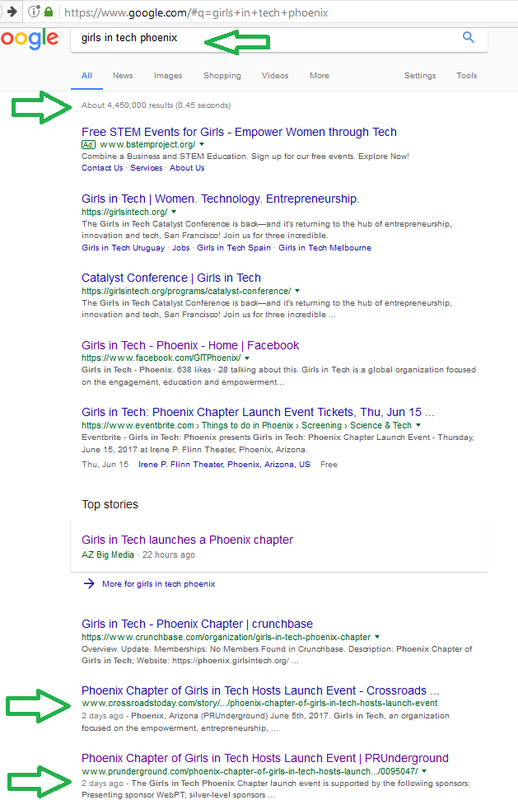 When we do a search for “girls in tech phoenix” in Google, their press release shows up twice on the first page of Google, jumping ahead of over 4.4 MILLION other possible search results. 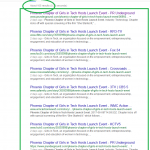 When we analyze how many times the press release is indexed in Google through our awesome distribution network of news and TV websites, it makes sense that it has a good chance of reaching page 1 for relevant search phrases. The press release was also published across the web including local Arizona TV websites AZFamily.com, the CBS 5 station in Phoenix, and Tucson News Now, the CBS TV affiliate in Tucson, as well as DigitalJournal.com and all of these news sites. 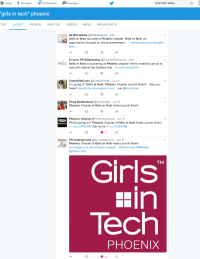 When we look at Social Media we see more chatter on the topic including the post on our Twitter profile from PRunderground. For $49.99, that is a lot of instant coverage. Although the PRunderground service never replaces personal outreach to writers and editors by a connected Publicist or company insider, it does let even companies with small budgets get the word out about their announcements. 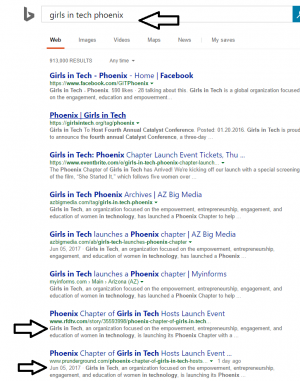 We hope that the new Girls in Tech Phoenix Chapter is a huge success. Definitely check out their launch event if you are interested!